Analog Man carries the JoeMeek gbQ Distortion Generator Pedal. A full featured distortion pedal with odd and even harmonics, three parametric Equalizers allows you to create your own signature distortion sound or get any of the classic distortion tones. The "GB" part of the name stands for "Guitar and Bass" but it could also be read as "Great British" since - like all the other JOEMEEK products - the pedals were dreamed up in the Devonshire home of pre-eminent audio designer Allan Bradford: "I started off as a kid building analogue synthesisers back in the 70s and those were all about giving people endless combinations of sounds to play with. I also made guitar amplifiers and effects pedals for myself and friends, when we were all playing in bands, so really with the gbQ I am revitalising a lot of those old ideas." The gbQ is a full featured distortion generator. Incorporating both odd and even distortion control. 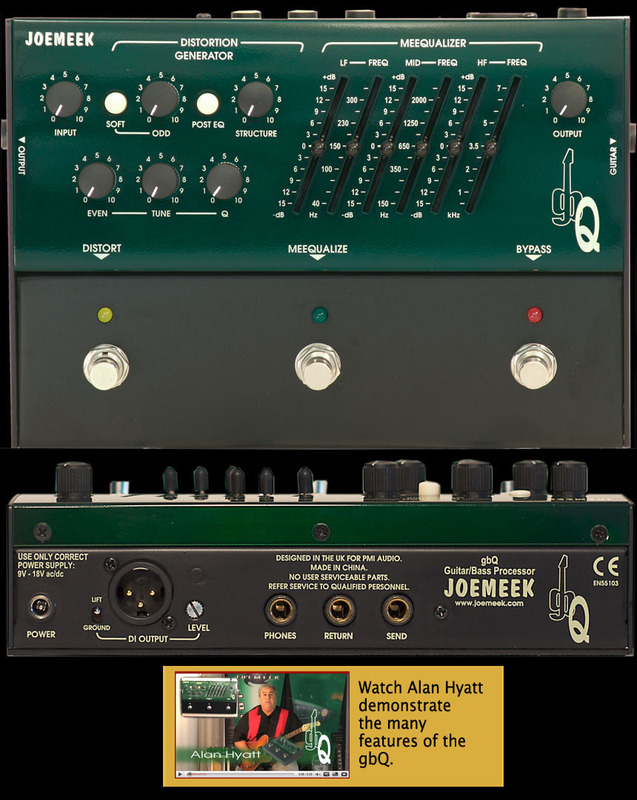 The gbQ adds a structure control which sweeps a Joemeek proprietary designed filter to shape the tone allowing the gbQ to emulate all types of distortion pedal sounds and tones. 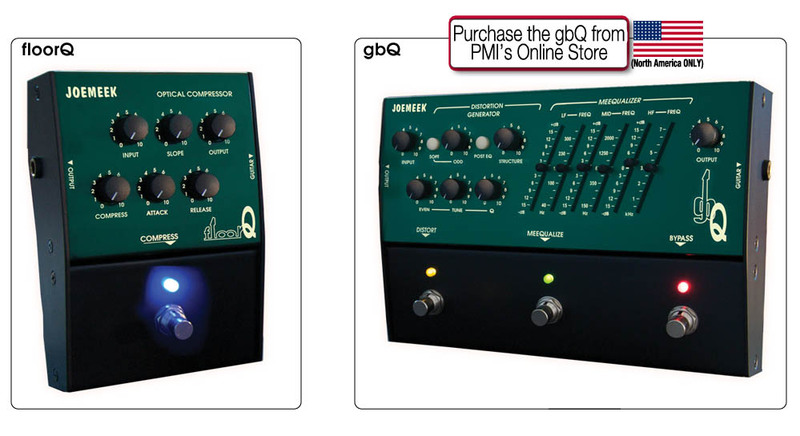 The gbQ can behave and mimic many different boutique distortion pedals. With controls like pre/post EQ distortion, 3 Band sweep EQ, Hard/Soft knee, DI output with level and ground lift, and you have a distortion/EQ pedal with full control and functionality that you can own.